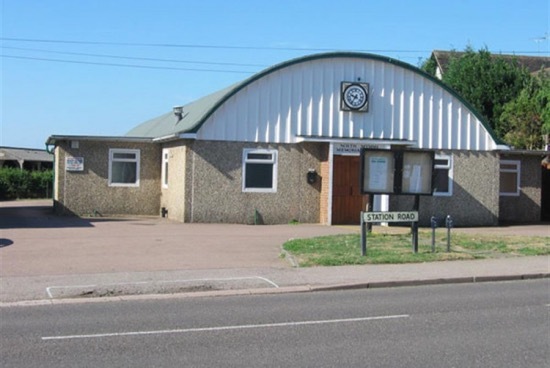 The chair of the North Mymms Memorial Hall, Mike Allen, has written to this site asking for help in recruiting a new secretary and active committee members to help run the place. "The Memorial Hall has been serving the North Mymms community for 60 years and is completely self-funded. It now has an all-new management committee who want to take the hall forward for the benefit of all. Kitchen: had the kitchen fully refurbished to a high standard." Mike says the next project is to upgrade the heating system. He's keen to keep the momentum going with his "all-new management committee", and would like to encourage local volunteers to help in any way they can. If you think you can lend a hand, please get in touch with Mike Allen either via the message line, which is 07948 310192, or by emailing chairman@northmymmsmemorialhall.co.uk. 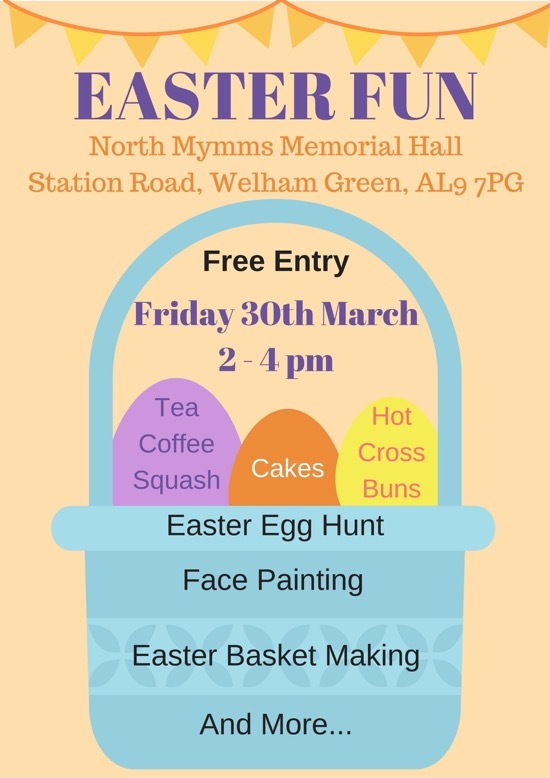 The next event at the hall is an Easter fun day, details below.